The day has finally come! You’re getting ready to bring home a little Coton de Tulear puppy, the newest (and arguably, furriest) member of your family. Although you may have puppy-proofed your home and purchased everything your new pup could possibly need, the transition from breeder to their new owners can be a bit overwhelming. And as notorious as they are for being good family pets, your Coton de Tulear puppy will still need a little help adjusting and settling in to their new home. Your new pup should have their own space in your home with all of the essentials: Toys; cozy blankets; food and water; the works! A puppy zone will ultimately establish boundaries for your puppy when he’s just starting to explore. You want to introduce him to your home, and the world, little by little so that it’s easier for him to remain comfortable as his environment expands. Part of the puppy zone should be their new crate. Spend some time on your first night together sniffing out the crate. Let them investigate this new area for themselves, never forcing your pup in or out. If you need a bit of help, try tossing some treats inside the crate or reward your puppy every time they enter the crate, to show them that going in the crate is a good thing. Leave the crate open throughout the day so that they become more and more familiar with it, randomly rewarding them when they go in or placing their favorite toys on the blankets inside. Then when it seems as though your pup is moving in and out of the crate with no problem, you can start to close the door behind them—but only for a few short seconds! Crate training is a process because you don’t want to overwhelm your new pup or make them feel anxious in the slightest, so slowly work up to keeping the door closed for longer periods of time so that they can get used to it. Coton de Tulear puppies are full of energy, but with that energetic personality and excited nature comes a very small bladder. With any puppy, frequent bathroom breaks are a must! Take them out as soon as you arrive home to show them where they should be relieving themselves. Reward them, of course because they did such an awesome job and then keep an eye out throughout the rest of the day for signs that they may have to go. This will hopefully stop accidents before they happen. After that, stick to a schedule! Take your pup out every 1-2 hours, until you get to know each other more. It seems too cruel to leave your brand new Coton de Tulear pup in their crate for the night, especially when they’re whining—however, it’s something that you must power through. The crate sets boundaries for your pup and keep unhealthy habits at bay. So, although your first instinct will be to scoop up your pup and let him cuddle in bed with you for the night, you must resist the urge! They need to learn independence and if they fall into this habitual pattern, they won’t ever fall into a proper routine. But not to worry—your new Coton de Tulear puppy will still feel safe and sound with your bed nearby to their crate. Although our Coton de Tulear puppies have been around loving humans and socialized with other pups, they still are easily spooked. Loud, unfamiliar noises or too much commotion can definitely stress your new puppy out, so be sure to plan a nice, relaxing first night (or even first week) for them at the house. The top priority is helping them feel safe in their new home, so visitors can definitely wait a week or two! After all of the hustle and bustle on your first night with your Coton de Tulear puppy, all there’s left to do is enjoy the newest member of your family! Coton de Tulear puppies for sale! At Family Puppies, we raise our pups in a loving and warm environment and look to put them in homes that offer the same. 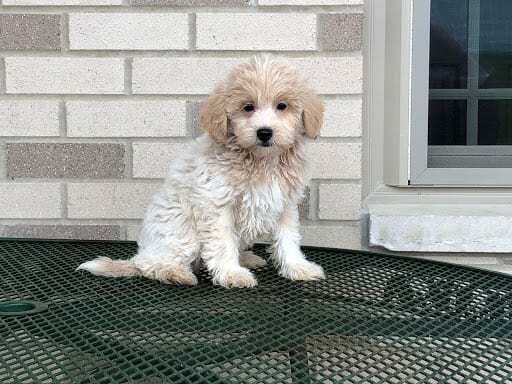 If you’re looking for Coton de Tulear puppies for sale in Indiana, you’ve come to the right place. Check out our newest pups here and call us at 574-354-2428 with any questions you may have!